While staying in our historic bed and breakfast, you can take advantage of our close proximity to the city’s newest day spa, the Woodhouse Day Spa. 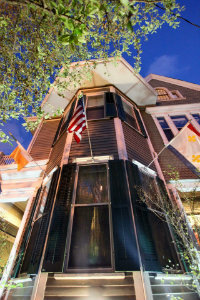 Within easy walking distance (one half block) of the inn, the spa offers a full range of services including Massage Therapy with various modalities, Skin Treatments, Body Treatments (seaweed wraps, vichy shower treatments), Manicure and Pedicure, Waxing and Gentlemen’s Services, such as a Hot Towel Facial and Gentleman’s Manicure. Woodhouse also offers dual services for couples. 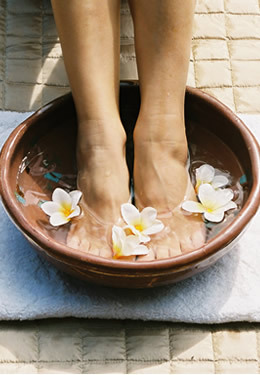 Please view the Spa services menu. 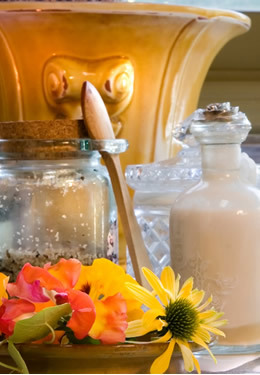 Treatments consist of sustainable organic ingredients cultivated on global fair trade farms. All ingredients are custom distilled and certified by the Forest Stewardship Council and Rainforest Alliance. The cocoa is grown on a Fair Trade farm in the Amazonian rain forest, and the Jasmine used in the Rest and Renewal Ritual is raised in Egypt by a grower who is one of the rare certified organic Jasmine growers in the world. Woodhouse Day Spa products are never tested on animals. Popular Services include the Brightening Facial, Swedish Massage, The Woodhouse Four-handed Massage, and the Woodhouse Escape, a 110-minute, five-treatment escape to bliss.